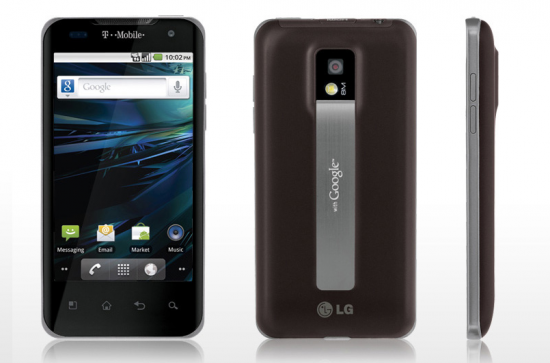 T-Mobile G2X is the US version of LG Optimus 2X. T-Mobile G2Xsupports the 1700Mhz band, features a 4” WVGA display with a resolution of 480 x 800 pixels and equipped with Tegra 2 Dual Core processor at a speed of 1 GHz and two cameras an 8MP at the rear side and a 1.3 MP camera at the front. This is an Android based device that runs stock Froyo Android/Linux 2.2.2. I'm perfectly happy with Froyo, supposedly the Gingerbread (Android 2.3.) update is coming soon; don't matter to me one way or the other. The voice controls work good, I've had no problems with wifi or bluetooth. The only thing I have seen is short battery life. So programs like task killer and JuiceDefender are a must and you need to turn off 4g when your not using it. The Nvidia Tegra 2 processor has great performance. Tegra Zone, Nvidia 's mini app store show case top quality games. Their selection is very small right now. The G2X comes with Need For Speed Shift HD a racing game a demo version of N.O.V.A, a futuristic first person shooter. All the calls made on the G2x were crystal clear. It sounded like I was using a landline phone and I didn’t have any complaints from callers on the other end. T-Mobile’s 4G networks, my average download speed was just under 3Mbps and my upload speeds got around 1.5Mbps. But having Tegra 2 dual-core power comes with a price. You may only get about 4.5 hours of continuous web surfing over 4G. There are some people having problems with getting every thing working on the G2X. It's not obvious though how you activate the APN though. g2x activation at simple mobile. Simple Mobile website--> Enter in Android config on a new APN--> Save and hold down the radial button long enough for it to turn green. From there, internet, gps, mms, etc. all works. The $60 plan includes Unlimited Nationwide Talk, Text and data up to 4G speeds. However only phones like the G2X, support T-Mobile's HSPA+ network technology would qualify as supporting 4G speeds. The $50 plan includes Unlimited Nationwide Talk, Text and data up to 2.5G speeds. 2G speed is more than adequate for IM, MMS, Web browsing , Email and social networking. Gingerbread update would roll out this week, bringing along the following enhancements: Improved battery life; Improved front-facing camera operation when using Qik record and share; Improved disabling Car Home; Helps address unexpected reboots.